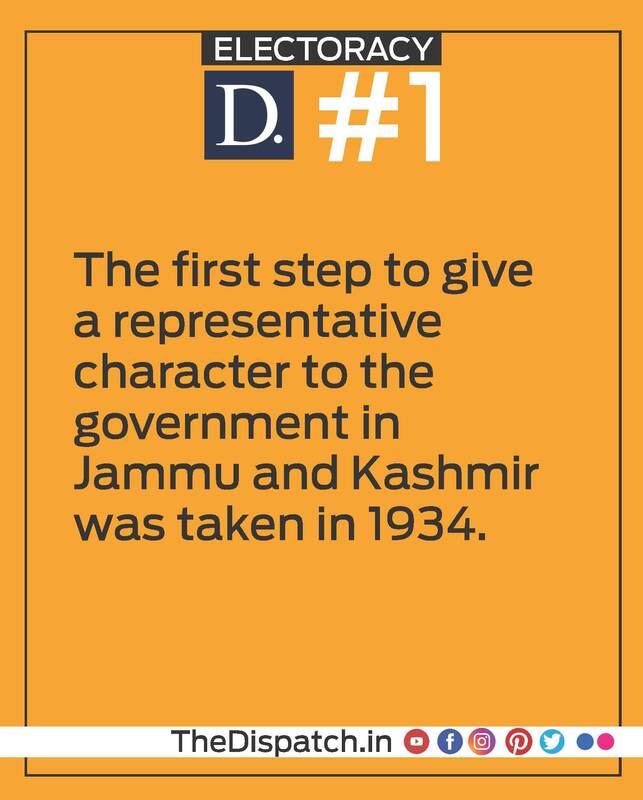 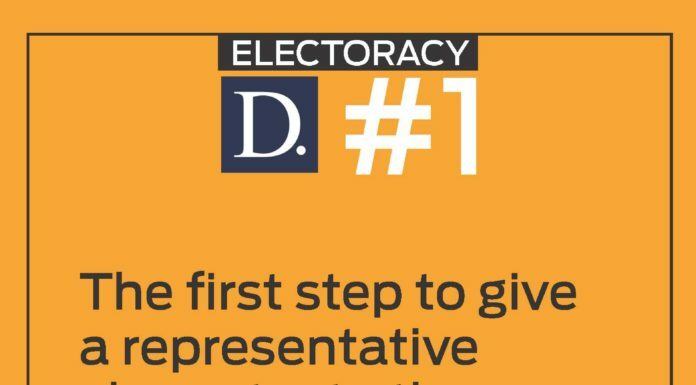 The first step to give a representative character to the government in Jammu and Kashmir was taken in 1934. 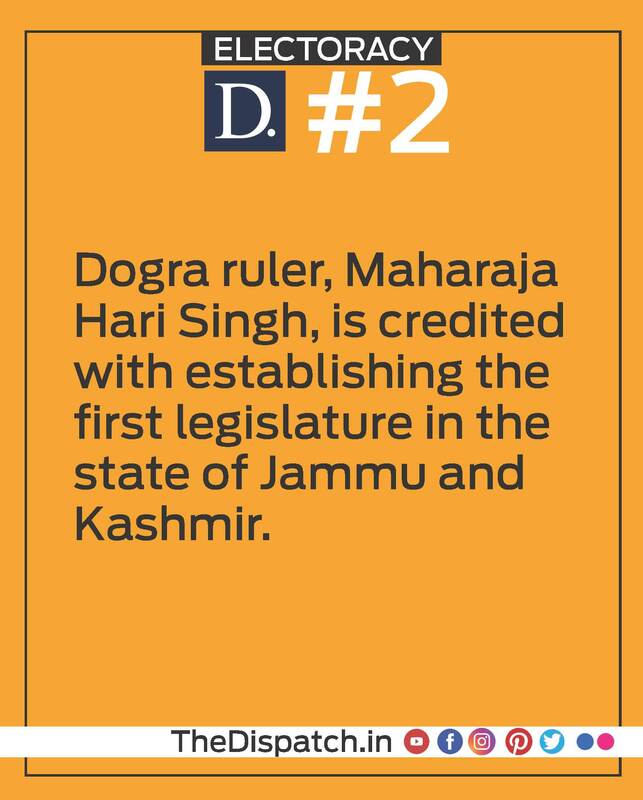 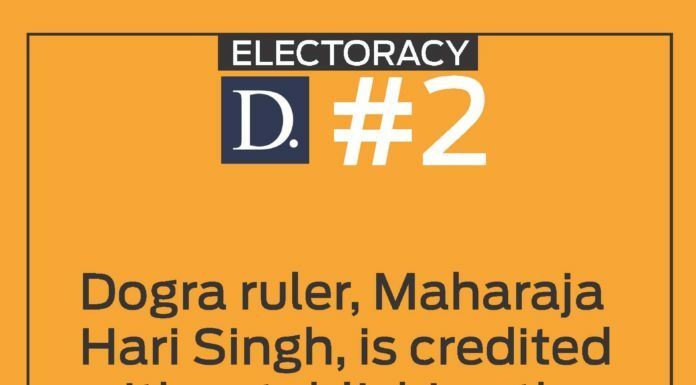 Dogra ruler, Maharaja Hari Singh, is credited with establishing the first legislature in the state of Jammu and Kashmir. 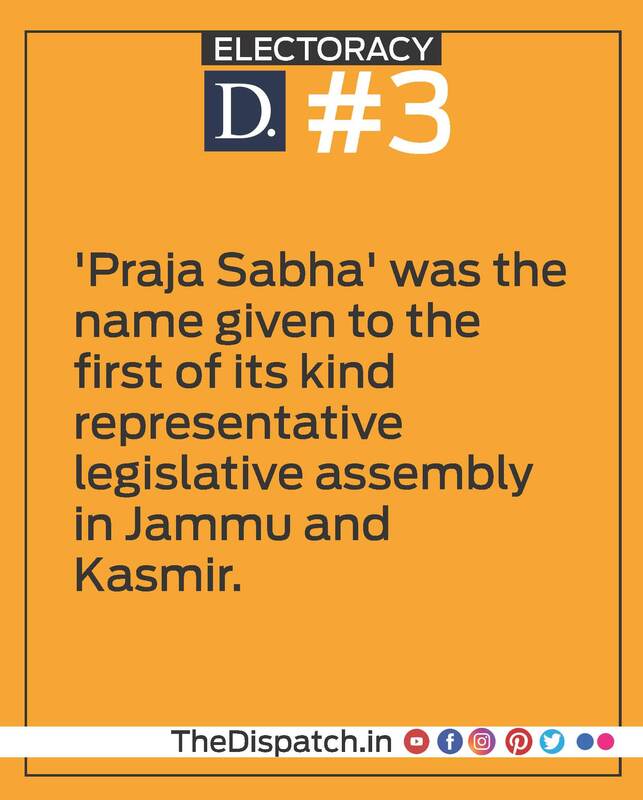 ‘Praja Sabha’ was the name given to the first of its kind representative legislative assembly in Jammu and Kasmir. 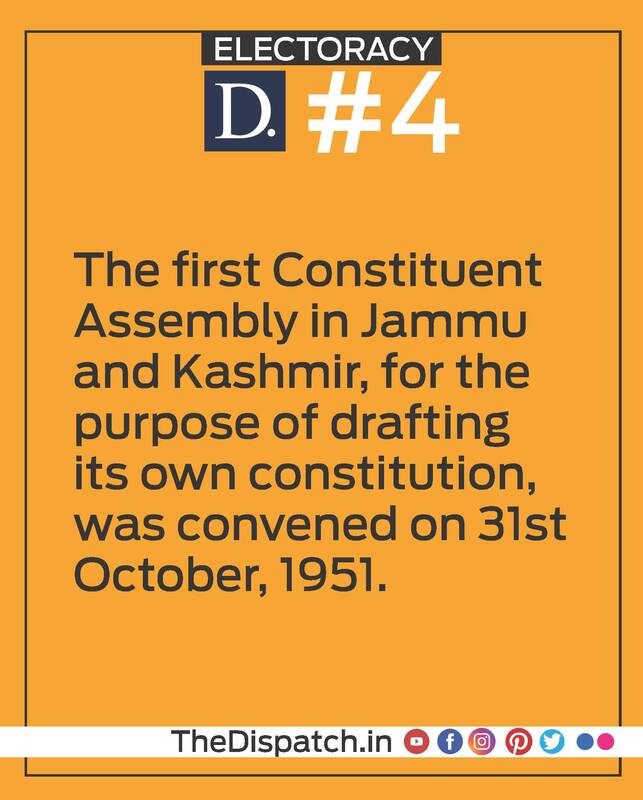 The first Constituent Assembly in Jammu and Kashmir, for the purpose of drafting its own constitution, was convened on 31st October, 1951. 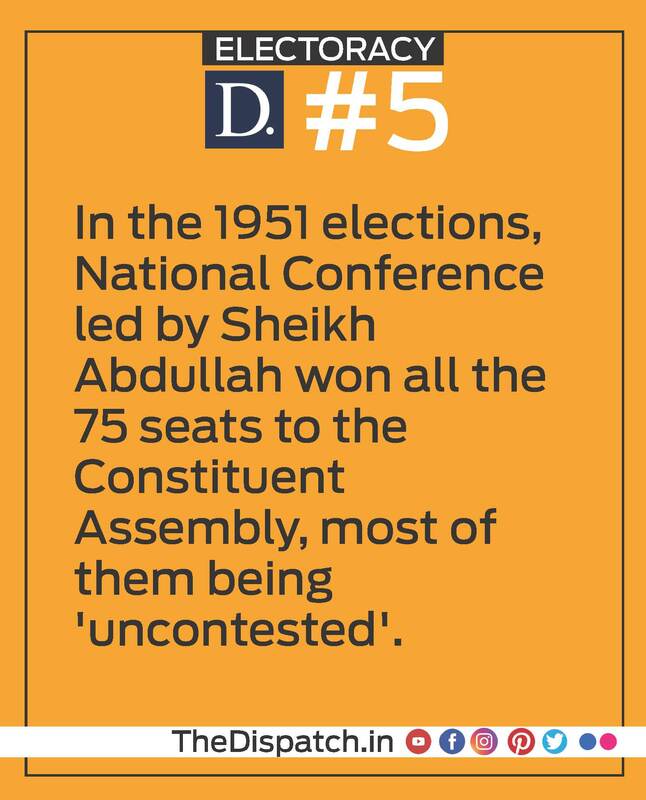 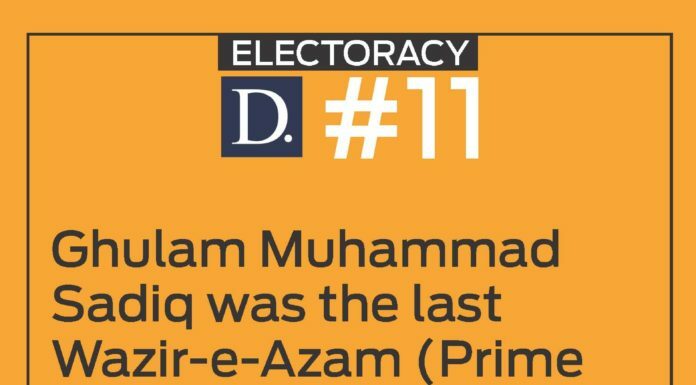 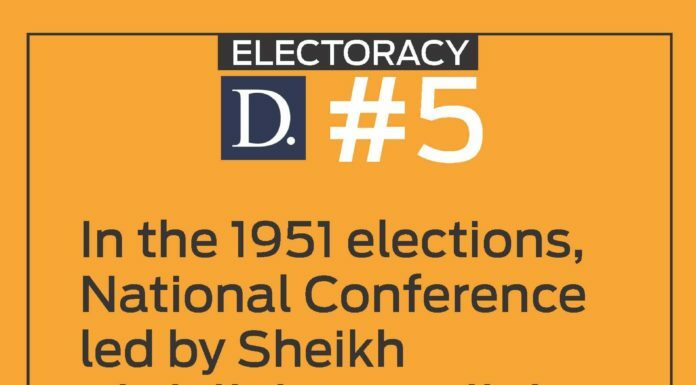 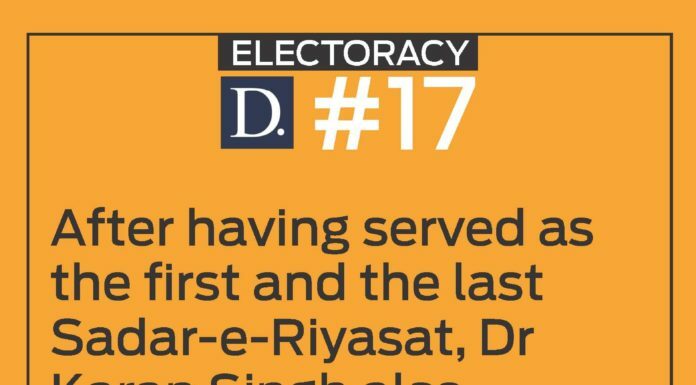 In the 1951 elections, National Conference led by Sheikh Abdullah won all the 75 seats to the Constituent Assembly, most of them being ‘uncontested’. 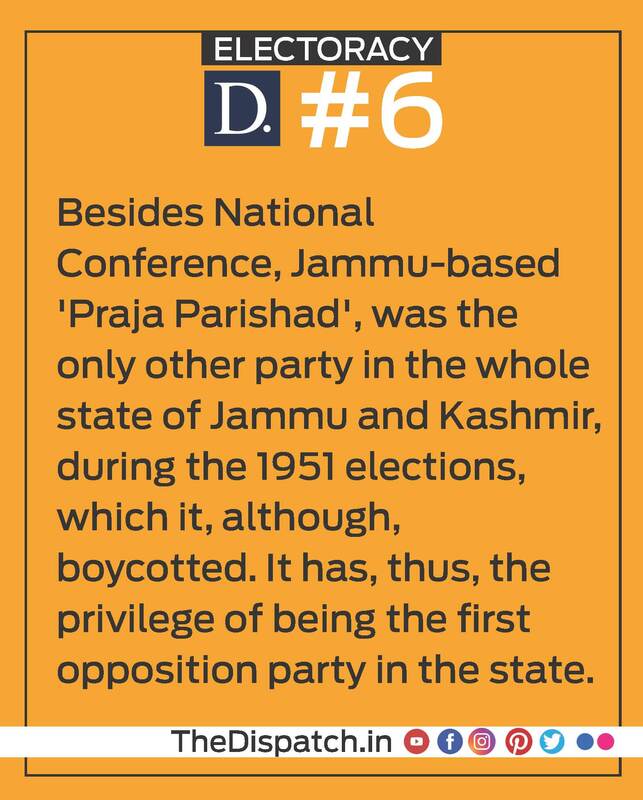 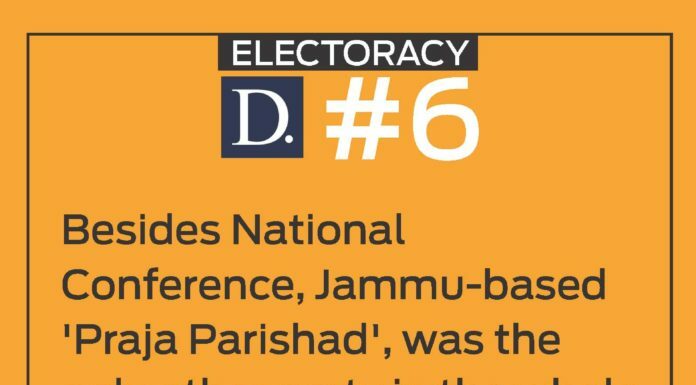 Besides National Conference, Jammu-based ‘Praja Parishad’, was the only other party in the whole state of Jammu and Kashmir, during the 1951 elections, which it, although, boycotted. 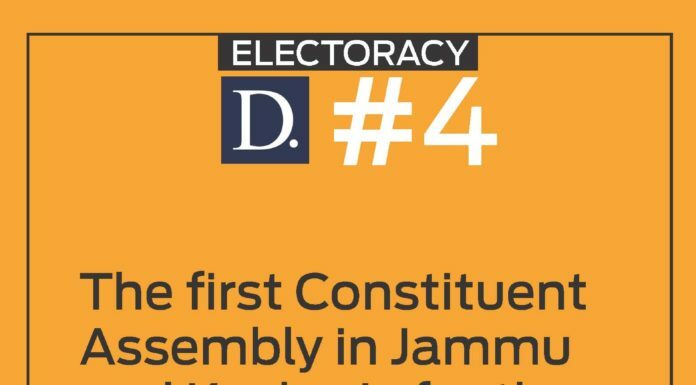 It has, thus, the privilege of being the first opposition party in the state. 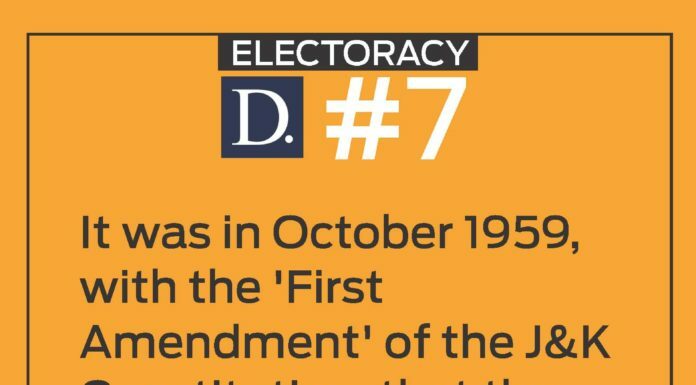 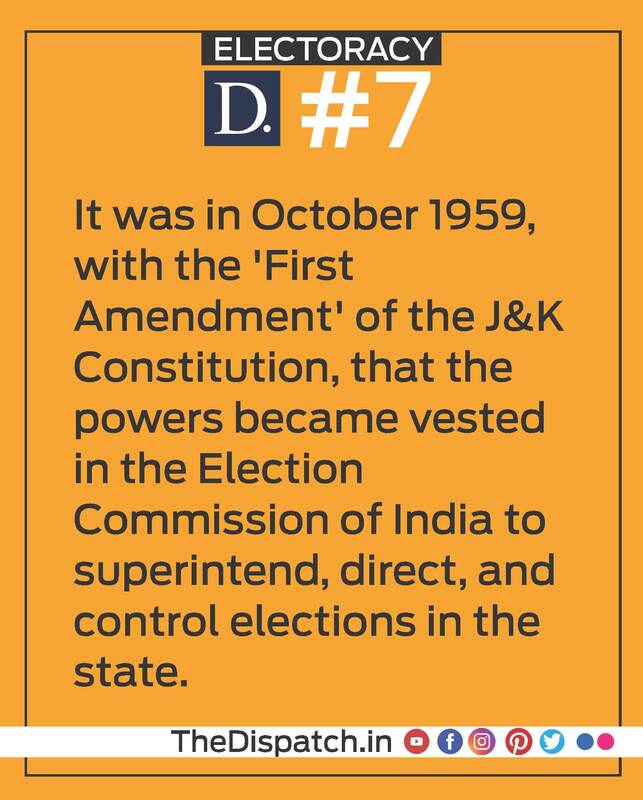 It was in October 1959, with the ‘First Amendment’ of the J&K Constitution, that the powers became vested in the Election Commission of India to superintend, direct, and control elections in the state. 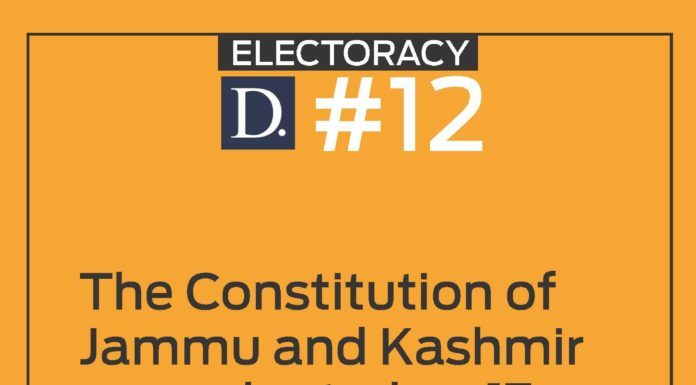 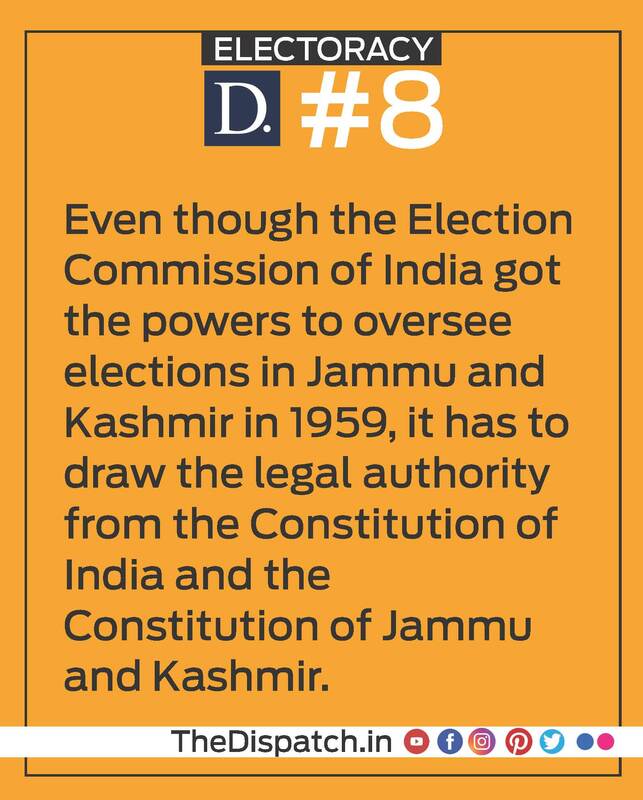 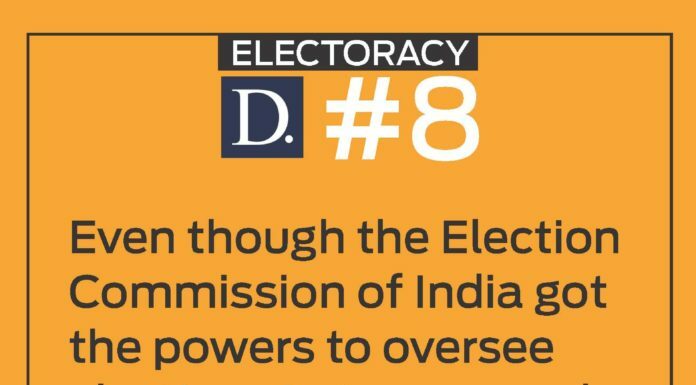 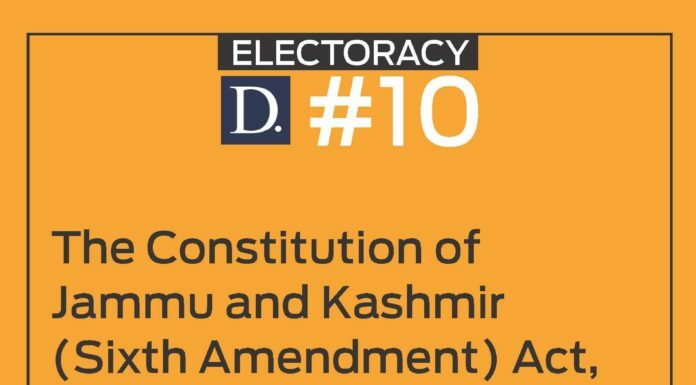 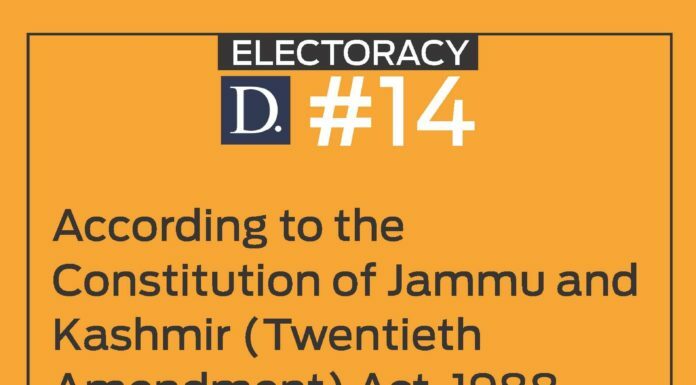 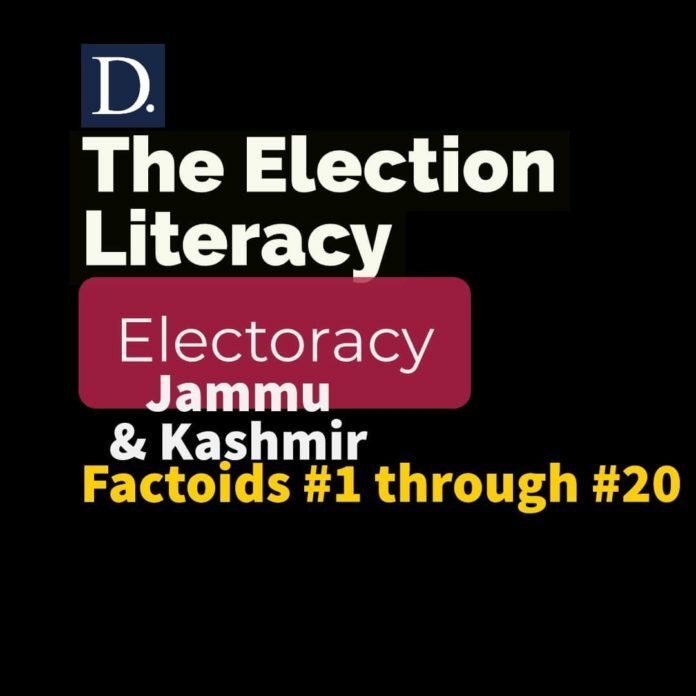 Even though the Election Commission of India got the powers to oversee elections in Jammu and Kashmir in 1959, it has to draw the legal authority from the Constitution of India and the Constitution of Jammu and Kashmir. 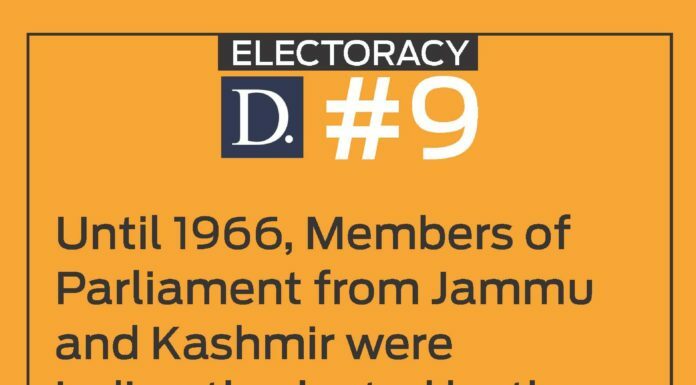 Until 1966, Members of Parliament from Jammu and Kashmir were indirectly elected by the state legislature and not by people themselves. 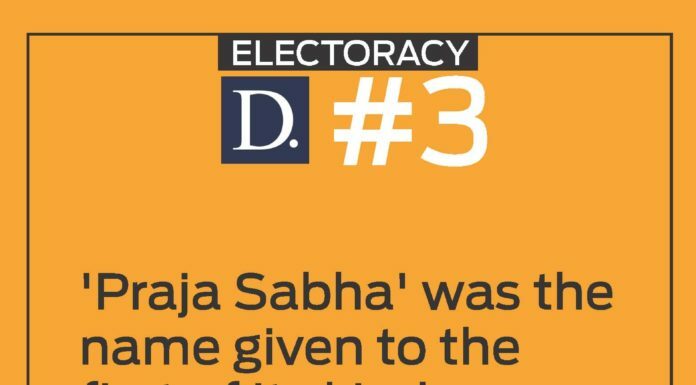 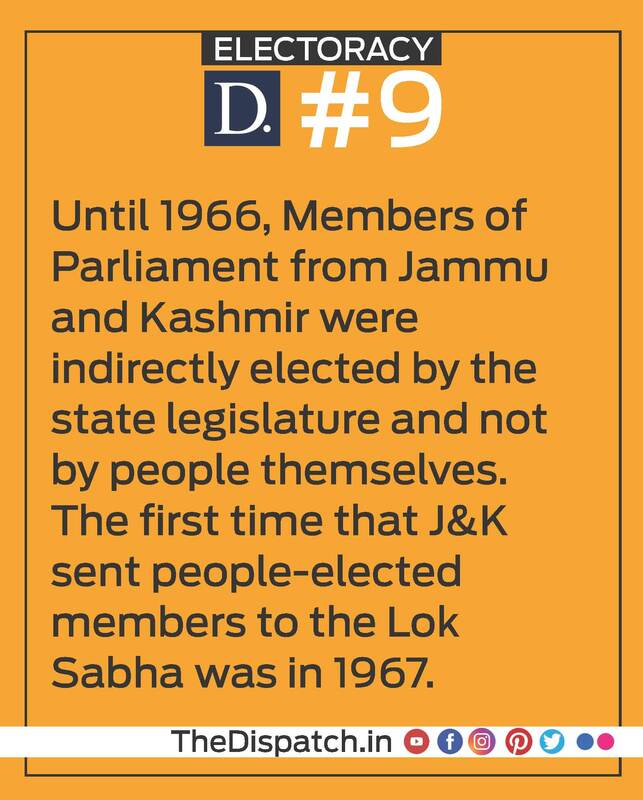 The first time that J&K sent people-elected members to the Lok Sabha was in 1967. 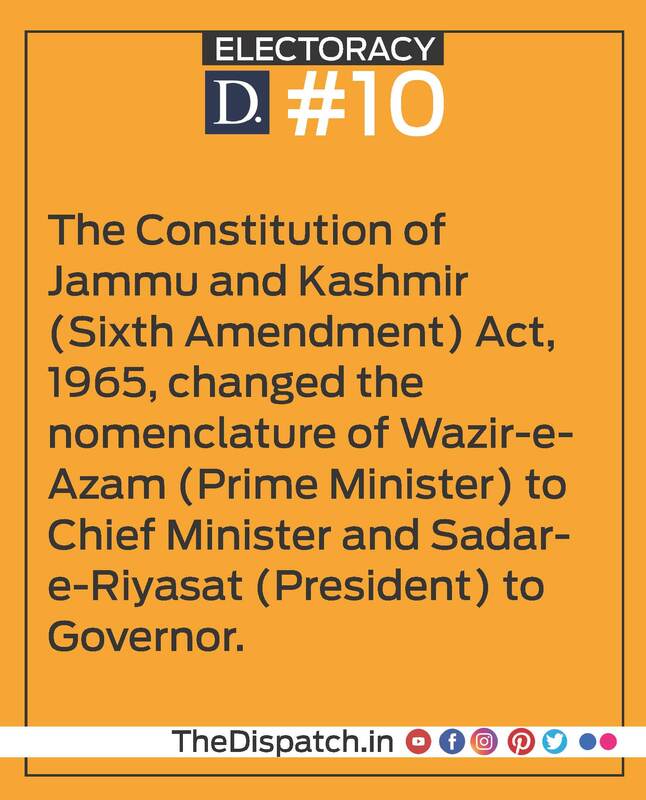 The Constitution of Jammu and Kashmir (Sixth Amendment) Act, 1965, changed the nomenclature of Wazir-e-Azam (Prime Minister) to Chief Minister and Sadar-e-Riyasat (President) to Governor. 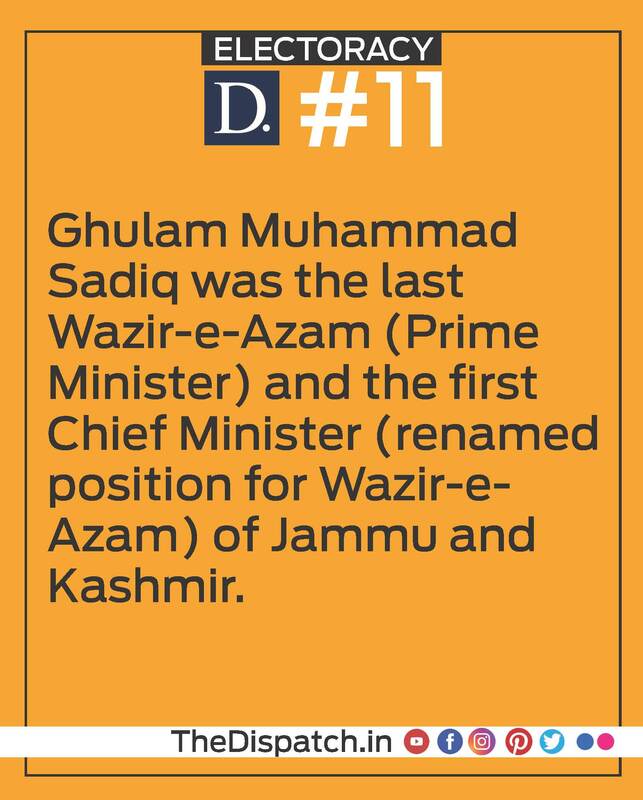 Ghulam Muhammad Sadiq was the last Wazir-e-Azam (Prime Minister) and the first Chief Minister (renamed position for Wazir-e-Azam) of Jammu and Kashmir. 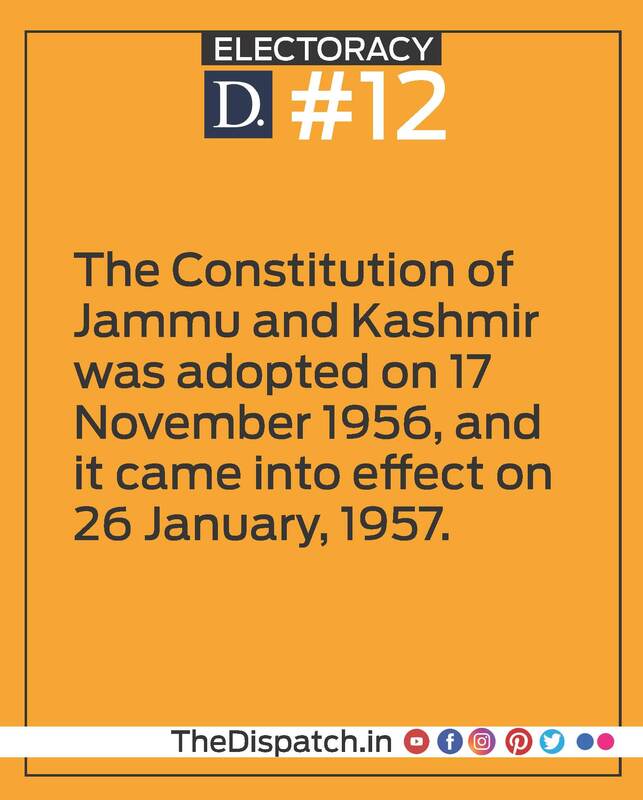 The Constitution of Jammu and Kashmir was adopted on 17 November 1956, and it came into effect on 26 January, 1957. 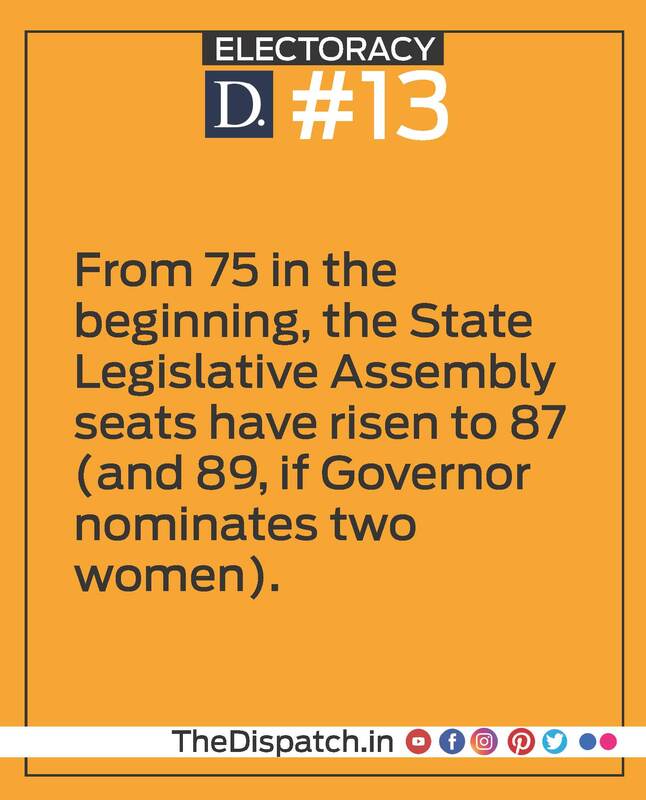 From 75 in the beginning, the State Legislative Assembly seats have risen to 87 (and 89, if Governor nominates two women). 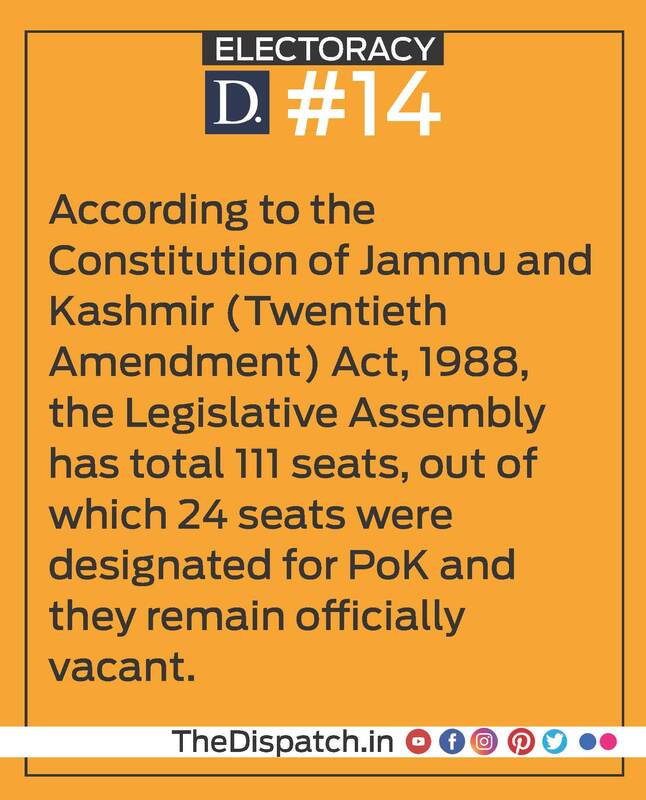 According to the Constitution of Jammu and Kashmir (Twentieth Amendment) Act, 1988, the Legislative Assembly has total 111 seats, out of which 24 seats were designated for PoK and they remain officially vacant. 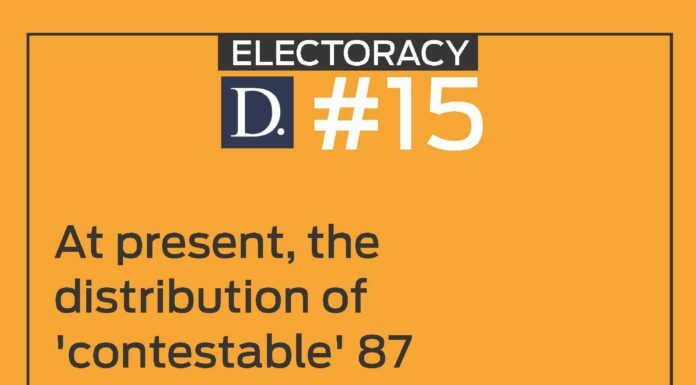 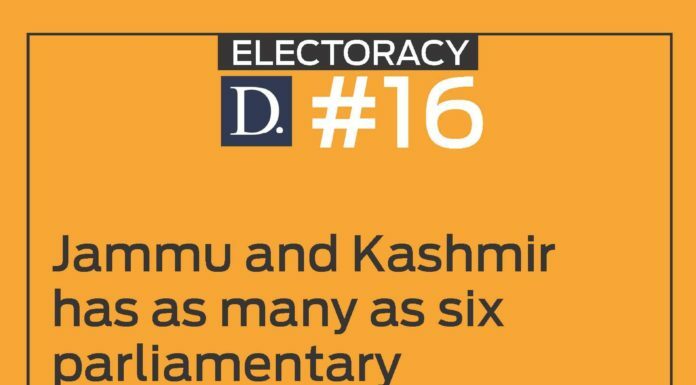 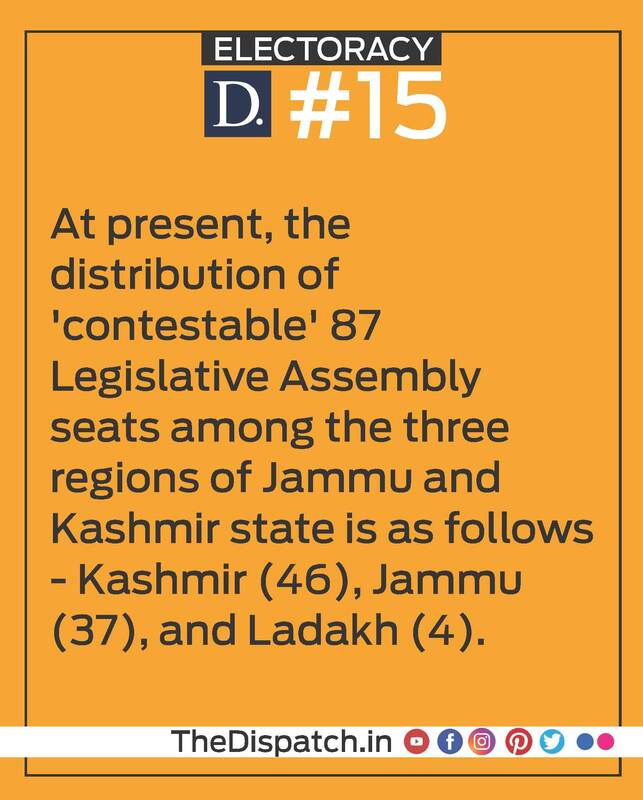 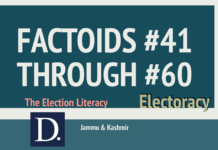 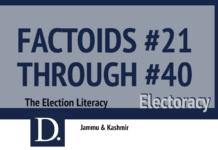 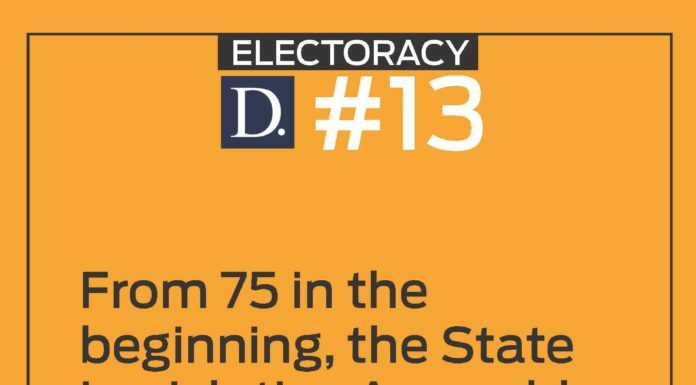 At present, the distribution of ‘contestable’ 87 Legislative Assembly seats among the three regions of Jammu and Kashmir state is as follows – Kashmir (46), Jammu (37), and Ladakh (4). 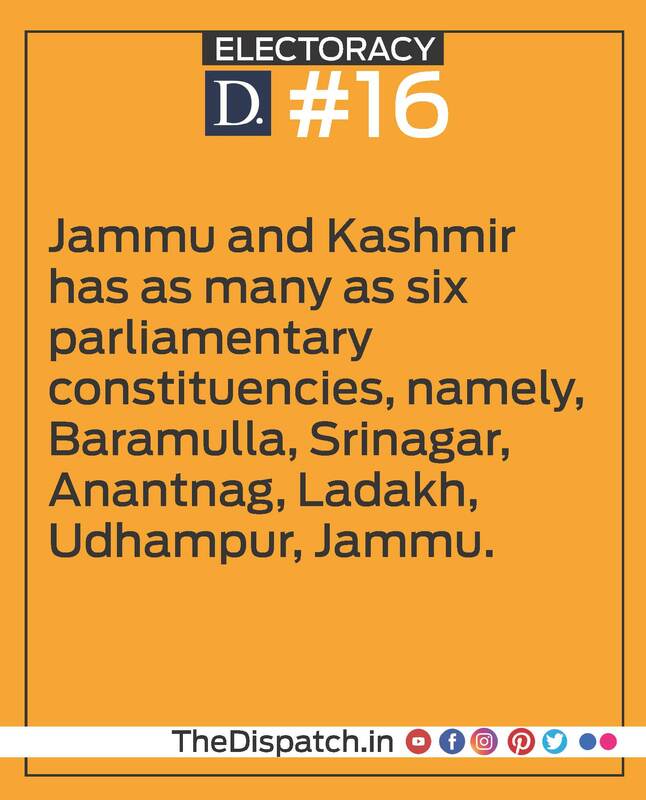 Jammu and Kashmir has as many as six parliamentary constituencies, namely, Baramulla, Srinagar, Anantnag, Ladakh, Udhampur, Jammu. 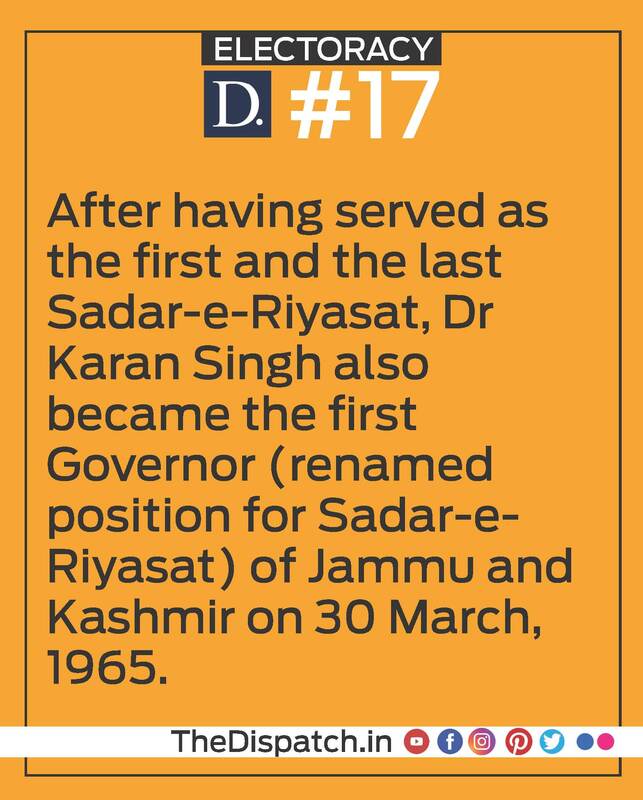 After having served as the first and the last Sadar-e-Riyasat, Dr Karan Singh also became the first Governor (renamed position for Sadar-e-Riyasat) of Jammu and Kashmir on 30 March, 1965. 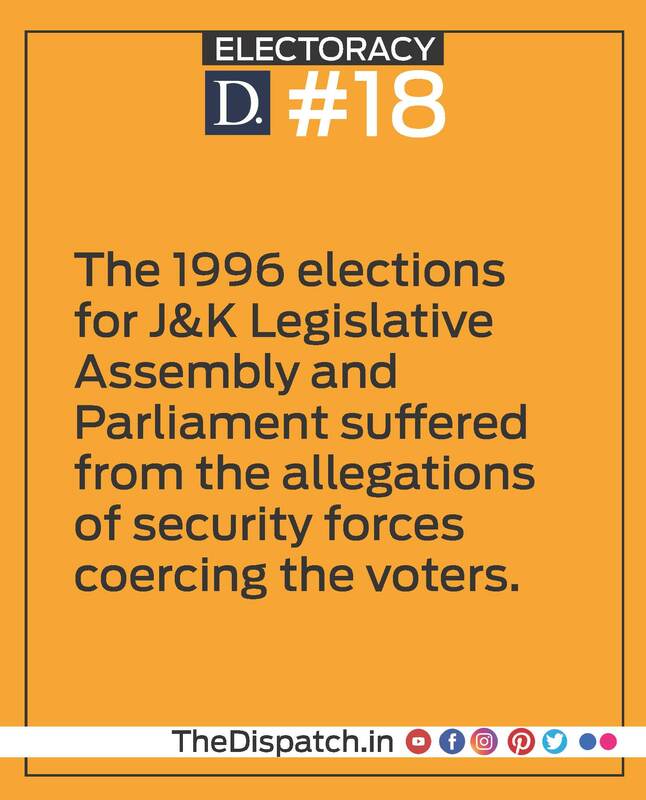 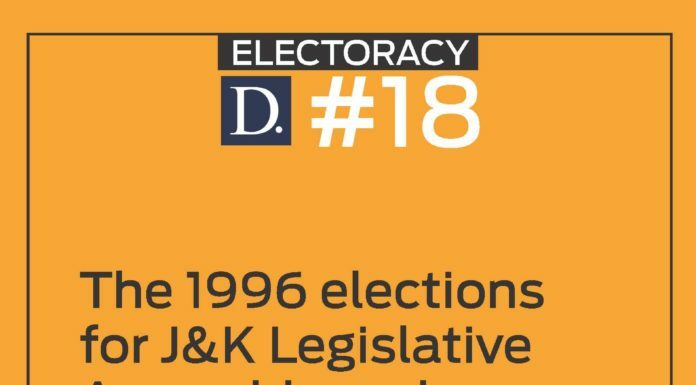 The 1996 elections for J&K Legislative Assembly and Parliament suffered from the allegations of security forces coercing the voters. 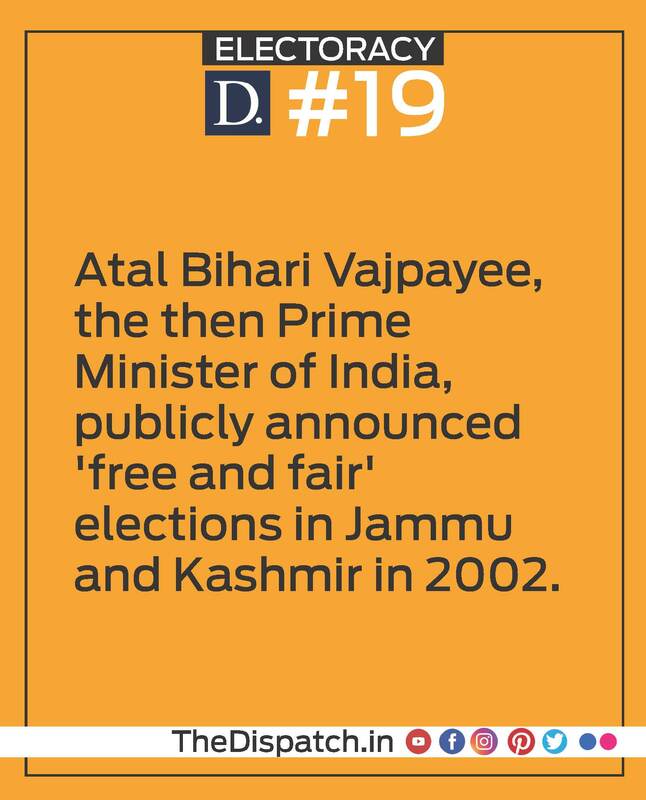 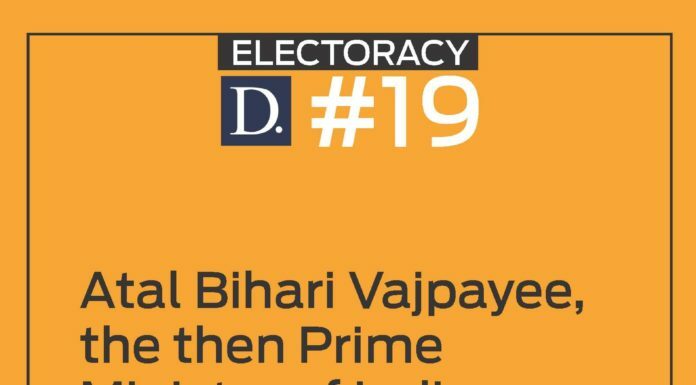 Atal Bihari Vajpayee, the then Prime Minister of India, publicly announced ‘free and fair’ elections in Jammu and Kashmir in 2002. 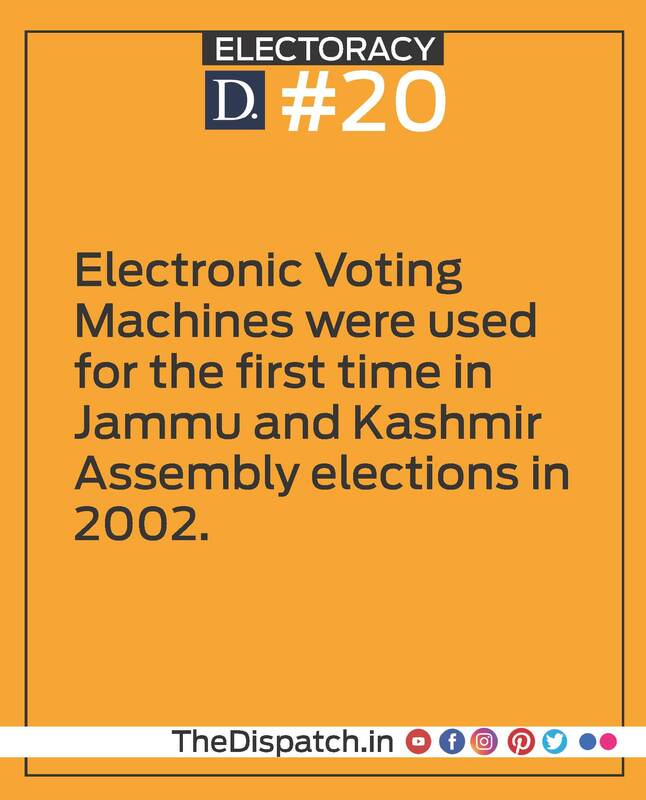 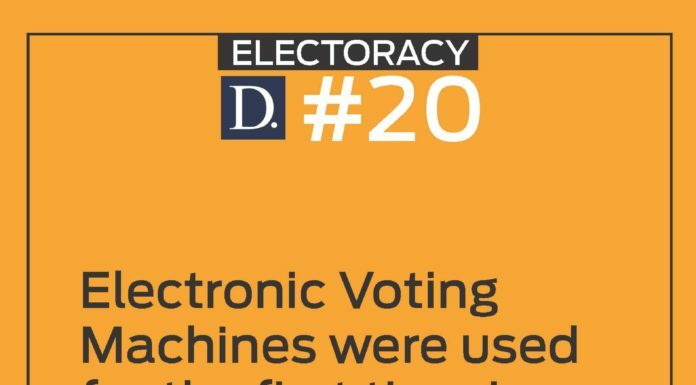 Electronic Voting Machines were used for the first time in Jammu and Kashmir Assembly elections in 2002.